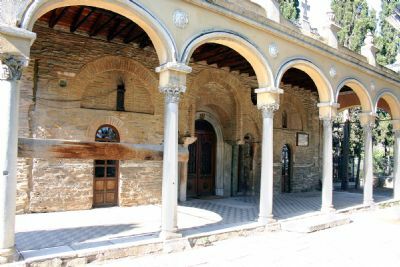 The Monastery of Vlatadon is located near the northern wall of the ancient city of Thessaloniki—on the high hill overlooking the city. The monastery was founded in the fourteenth century and rebuilt in1801. It is named after the Vlatades brothers, Dorotheos and Markos who founded it in 1360. In the Greek Orthodox tradition it is associated with the "house of Jason" mentioned in Acts 17:5.